Went to the Minnesota State Fair before going to Red Lake. 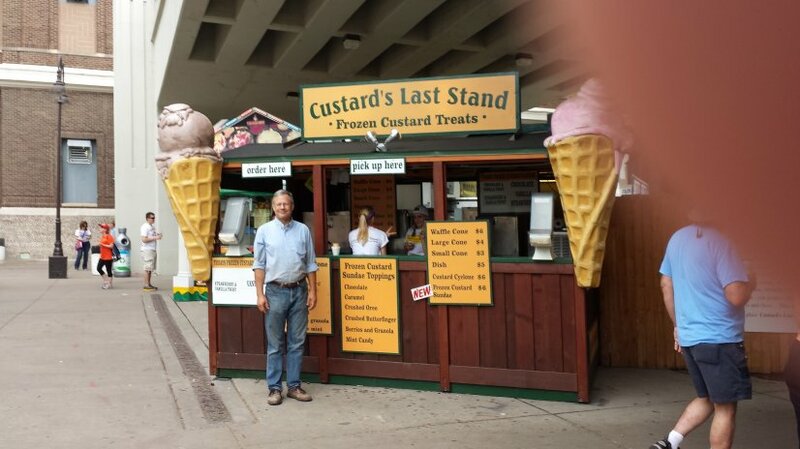 Here is a picture of me at Custard’s Last Stand, complete with L’s finger over part of the lens. Marina, it does! Who is that masked man on the right?! 😆 😆 You could of fooled me! Ha that finger cut off someone’s head! Both of those are kinda funny too. Glad to discover another photographer with similar talents. Was the custard any good? you must be the only Littlecreek to miss the huge body gene! You look great! Say hi to Mom, Chuck and Celia for me.